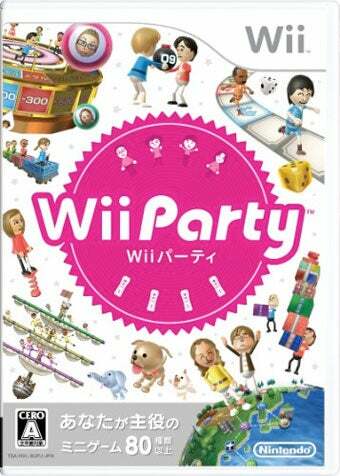 Nintendo's latest Wii hit shows its impressive legs once again this week, with mini-game collection Wii Party returning to its first place spot on the Japanese video game sales charts. Almost zero competition certainly helped. Really. There wasn't much in the way of competition for Wii Party—or anything else for that matter. New PSP game Corpse Party: Blood Covered - Repeated Fear may have a great title, but it didn't crack the top ten. The same for Kazoku Keikaku. That stagnant release week helped keep games like Sengoku Basara 3 and Tales of Phantasia: Narikiri Dungeon X near the top of the charts, making for a relatively unexciting week, sales competition-wise. For the bestselling games in Japan for the week of August 9 to 15, courtesy of Media Create, read on.